As the forecast of winter weather looms, WTOP's Dave Dildine highlights the most-memorable snowstorms to strike the D.C. region during the month of March. WASHINGTON — A powerful nor’easter could bring snow and high winds to the D.C. region on the 24th anniversary of one of the strongest East Coast cyclones in modern memory. On March 13, 1993, blizzard conditions enveloped the eastern third of the country, setting all-time low-pressure, low-temperature and snowfall records from Florida to New England. Near D.C., winds gusted over 40 mph as lightning flickered in the sky. By the following morning, the 1993 Superstorm had produced 13.9 inches of snow at Dulles International Airport. 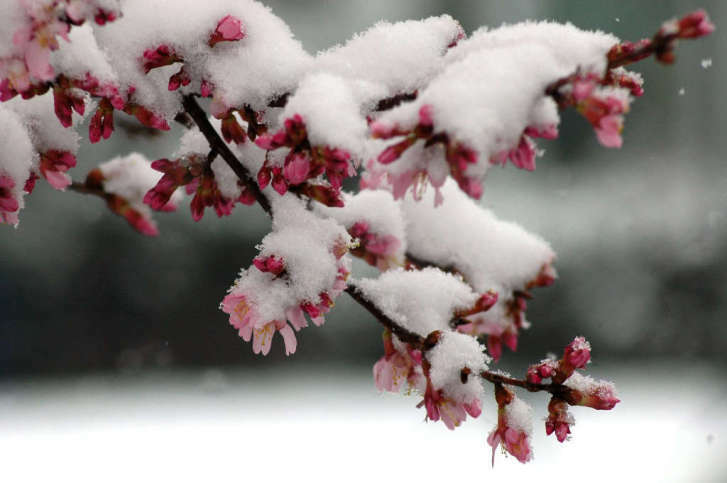 Although heavy snow changed to rain for a time near the District, a 6.5 inch accumulation was measured at Reagan National Airport by March 14. Other March snowstorms have a strong foothold in the history books as well. A mammoth snowstorm that struck the region over a century ago still holds the record for the highest March snowfall tally in D.C. That storm produced a foot of snow in the city March 27 to 28, 1891. The Palm Sunday snowstorm of 1942 brought the region’s second-largest March snowfall on record. On March 29 of that year, 11.5 inches was measured at Reagan National. The storm produced over 2 feet of snow in parts of Maryland and northwestern Virginia. That snowstorm also ranks as Baltimore’s seventh-largest storm on record; 22 inches was measured. Several heavy snowfalls buried D.C. in March 1960, including a March 3 storm that produced 7.1 inches. And on March 9, 1999, a snowstorm produced 8 to 12 inches of snow during the afternoon commute, crippling automobile traffic throughout the metro area. More recently, a mid-March snowfall in 2014 dropped 7.2 inches of powder on Reagan National and 11.1 on Dulles. Roughly a year later, on March 5, 2015, a snowstorm brought 5 to 10 inches across the region.